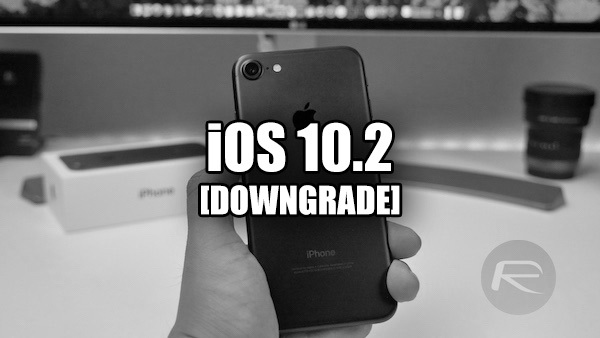 Want to downgrade iOS 10.2 to iOS 10.1.1 on your iPhone or iPad to a previous version of iOS? Here’s everything you need to know about rolling back Apple’s latest firmware release for mobile devices. After a prolonged period of testing with developers and those registered on Apple’s public testing program, Apple has finally made iOS 10.2 available for public consumption. With this release, there will more than likely be a slew of users updating their iPhone, iPad or iPod touch to the latest firmware without actually thinking about the potential consequences or downsides to that process. Thankfully, all is not lost if iOS 10.2 doesn’t turn out to be everything you hoped it would be, with a downgrade to iOS 10.1.1 or 10.1 still remaining possible. The first thing to take into consideration in this instance is just how far back you can go for an iOS firmware perspective. You may or may not be aware, but Apple’s platforms aren’t a free for all where you can basically do whatever you like. Users and device owners are limited when it comes to the firmware that they can install on their device, with rollbacks only available if Apple is still actually digitally signing that firmware. In the case of those who live in the heat of the moment, and who took the opportunity to instantly upgrade to iOS 10.2, Apple is currently only signing iOS 10.1.1 and iOS 10.1. You also need to be aware that the signing window for both of those firmware versions could actually close at any time. Apple simply doesn’t provide any prior warning as to when it is going to stop signing a particular firmware, meaning that when the company does decide to stop signing legacy versions of iOS, users will actually be stuck on the latest version that they have decided to upgrade to. It’s highly likely that iOS 10.1 will be closed before 10.1.1, but there’s no guarantees that either will stay available indefinitely. Finally, if iOS 10.2 is on your iPhone, iPad, or iPod touch, and you want to rollback, then it’s beneficial to make sure that a rollback is only being considered for performance reasons. This could be if iOS 10.2 has suddenly had a detrimental effect on the battery life of your device, or if performance of an older piece of hardware has suffered with Apple’s latest release. At this stage, there are no jailbreak benefits from being on iOS 10.1 or iOS 10.1.1 as last public jailbreak release was for iOS 9.3.3 firmware, which as you know by now is now longer being signed by Apple. If you still want to go ahead with the downgrade, and feel like you are mentally and physically prepared for the journey, then you can follow our previous extensive guide on the downgrade process here. That process applies here for downgrading from iOS 10.2 as well. Simply use iOS 10.1.1 firmware files where applicable and you will be good to go. Update x1: With iOS 10.1.1 jailbreak exploit now available, and a tool likely being imminent, those looking to jailbreak should downgrade to iOS 10.1.1 as soon as possible before Apple closes the signing window. Download iOS 10.2 IPSW Links For Final Version Of The iPhone And iPad Firmware. What’s really awesome about this article is that we can all see in the future now. December 13th never looked that good. The how-to article says make note that a full restore can’t be done when downgrading (from 10.1.1 to 10.0.2). Is that the same here? Does this mean I can downgrade, but I lose everything on my phone?? It’s a pity the jailbreak won’t work for 10.2 as we will miss out on the new Apple TV app that comes with 10.2.
iTunes won’t let me restore my device, says my backup 10.2 is too new or something. I’m having the same issue greg ford. They didn’t tell us this. Just now trying to find a more “complete” article.